April | 2009 | Shelf Elf: read, write, rave. Check out the coolness today! K.L. 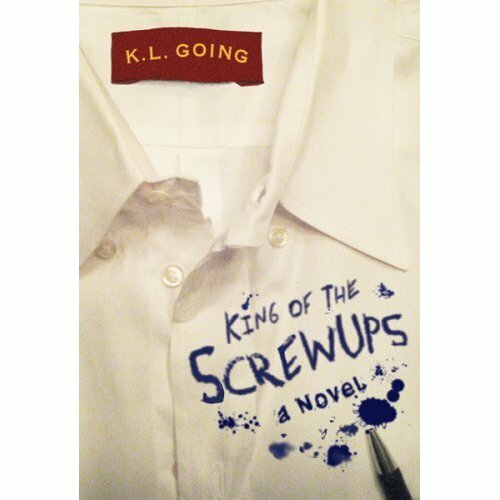 Going, fab author of some of my favourite books ever (Garden of Eve, Saint Iggy, Fat Kid Rules the World) is here, right now, to chat about her new book, King of the Screwups (which also rocks, just to keep the theme going). Let’s get this interview started! What’s your favourite thing about the writing process? The idea phase is definitely my favorite part. I love when I get hooked into something and I’m so excited about it. There’s so much raw potential when you’re first thinking up the story. Once you get going you have to accommodate things like structure and page count, but when it’s an idea it’s still pure. What drives you crazy about the writing process? For me, it’s the stuff that comes afterwards (which isn’t really part of the writing process, but is definitely part of the publishing process) that drives me crazy. Waiting for reviews. Trying to market yourself and your work. Moving from introvert to extrovert whether you want to or not! What inspired King of the Screwups? What inspires you in general? I’m inspired by all sorts of things. Sometimes it’s a song or a book that catches my interest. For King of the Screwups it was a single photograph of Liam Gallagher from the band Oasis. He’d just trashed a hotel room and he was standing in the middle of this HUGE mess, yet he managed to look entirely innocent, as if he had no idea how the mess had happened. I loved the photo and the way it made me wonder about his character. He inspired my main character, who is definitely a loveable screwup, so I named him Liam. Live a good life. Our most authentic writing comes from our experiences, so go out there and experience as much as you can. No. I wish I had more structure, but I tend to write as the spirit moves me. Lately, I try to start my day by updating my Twitter site and Facebook, just to get my brain and fingers warmed up, but after that it’s hit or miss. Some days I get a lot done and other days… nothing. Liam struggles with staying true to his talents and his natural identity. Have you ever felt pressure to change something about yourself because others didn’t understand and judged you? This entry was posted in Interviews, Teen/YA on April 29, 2009 by shelfelf. Copyright K. Millar. Please do not reprint without permission. This entry was posted in General on April 27, 2009 by shelfelf. If you’ve read one Philip Reeve book, you’ve probably read all of Philip Reeve’s books, because he’s the sort of writer whose stories make you want to head out and read everything he’s ever done. 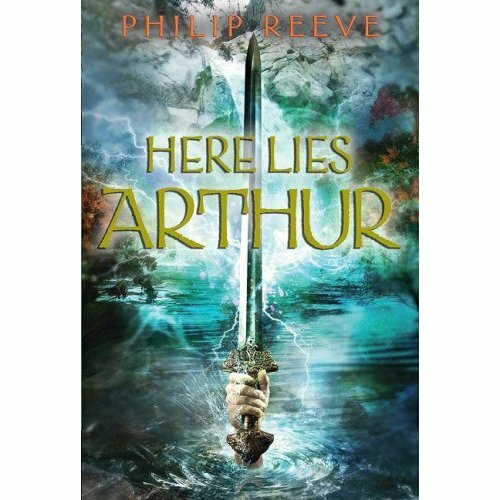 So it should please his fans that his latest offering, Here Lies Arthur is a gutsy, wholly original revamp of the traditional Arthurian legend. Readers will recognize Myrddin (Merlin), Gwenhwyfar (Guinevere), Bedwyr (Lancelot), Peredur (Perceval) and of course, Arthur, but there is a lot that’s different in this retelling. Myrddin the bard takes centre stage as the brains behind Arthur’s brawn and lust for power. In fact, Reeve presents Myrrdin as a myth-maker, as the storyteller who manipulates events to portray Arthur, who is fairly unimpressive in reality, as a remarkable leader. 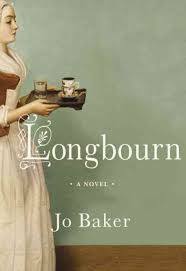 The narrator is Gwyna, an orphan slave-girl taken in by Mryddin to work as his assistant. At Myrrdin’s side, Gwyna ends up learning a great deal about politics, deception and gullibility. This book will make you think. It will make you consider the power of one person to “spin” an event to suit whatever purpose or plan they might wish. In this way, Reeve has created a novel with an instant connection to the present. This old, old story feels suddenly modern and easy to relate to current figures and events, to the media and celebrity. Those who hold the original Arthurian characters very close to their hearts might not want to read this version, because I think it will change forever how you think about the story. It will make you wonder and ask questions. Here Lies Arthur is about blood and betrayal, loss and love and trickery. Very highly recommended. This entry was posted in Fantasy, Teen/YA on April 25, 2009 by shelfelf. Around this time of year there’s this part of me that aches a little bit for the house where I grew up, which my mom sold several summers ago. Right about now everything will be starting to bloom. The lilacs all along the roadside will be coming out in a few weeks and it will be glorious and fragrant. I used to wander down the concession in the spring when I was a kid with a pair of scissors in one hand, and come back home again with my arms full of flowers. I could barely believe that they just grew on the side of the road and they didn’t really belong to anyone. It made me think the world was wonderful, to make something so beautiful just because, not for anyone in particular. This haiku made me remember those days and wish I could go back again. This entry was posted in Poetry on April 24, 2009 by shelfelf. I am one very lucky elf. Thank you ARC gods! Something just moved to the tippy top of the TBR pile. 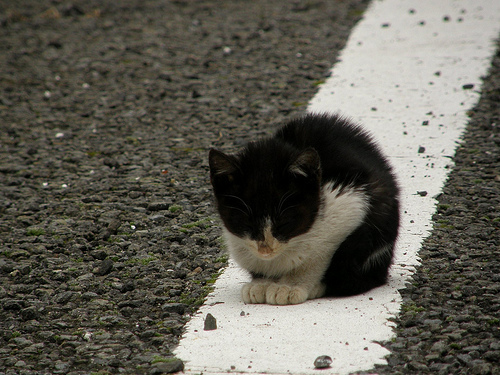 This entry was posted in Just Cool on April 22, 2009 by shelfelf. Spring is obviously the season for debut authors. I’ve been lucky to host several of Class of 2k9 members recently here at the blog. 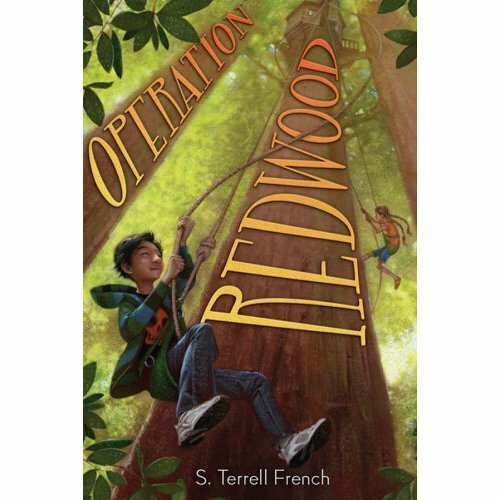 Today, S. Terrell French, author of Operation Redwood, is here to tell us lots about her passion for writing, and for environmental activism. Her novel is the perfect book to celebrate Earth Day. Welcome! In writing Operation Redwood, I was inspired by the voices of my own kids and their friends – their humor and curiosity and one-upsmanship. As I did more research on redwoods for the book, I was also inspired by the young people who put so much on the line in defending the old-growth redwoods during the battle over the Headwaters Forest in the 1990s. Tell us a bit about your process for writing Operation Redwood. What came first, the story or the characters? Operation Redwood began with an image in my mind of a boy who finds himself alone in an office and discovers an e-mail from a faraway girl, an e-mail that takes him into a new, unfamiliar world. The scene where he discovers the e-mail played like a movie in my mind and became the opening chapters of the book. I always saw the main character, Julian Carter-Li, as a rather reserved, watchful boy who is drawn into a series of adventures that he isn’t quite prepared for and doesn’t anticipate. His best friend, Danny Lopez, evolved from listening to my son’s hilarious and good-hearted friends. And I knew Robin, the girl who sends the e-mail that begins Julian’s journey to the redwoods, would be a passionate and smart (and a bit of a know-it-all) and care deeply about the land she’s grown up on. The most challenging aspect was having the hubris to believe I could write a book that had a chance of being published. Sometimes I’d walk into a book store or library and see all the fabulous new hardcovers and be completely daunted. Did writing Operation Redwood mean many visits to the redwood forest? What research was involved? I had been to the redwoods many times over the years, from Santa Cruz up to Redwood National Park in the northernmost corner of California. For background research on Robin’s home, Huckleberry Ranch, my family spent a few days on a wonderful ranch in Mendocino County with a couple who lived off the land and worked to protect and regenerate their redwoods. In addition, I did quite a bit of research on redwood ecology and history, the movement to protect the Headwaters Forest in the late 1990s, and Julia Butterfly Hill, the activist who inspires the kids in the book. Although these non-fiction elements are background for Julian’s adventures, I wanted to make sure they were accurate. So many kids grow up in urban areas. How do you think they can become inspired to become environmentalists? This entry was posted in Class of 2k9, Interviews on April 22, 2009 by shelfelf.